A valid Guest Operating System license is required and is sold separately. Looking to get Parallels for your entire class? Order Parallels Desktop for your students at once by placing a bulk order here. This version is a fully featured version, available for download. This product allows for personal use on a single machine, not for use on shared workstations. 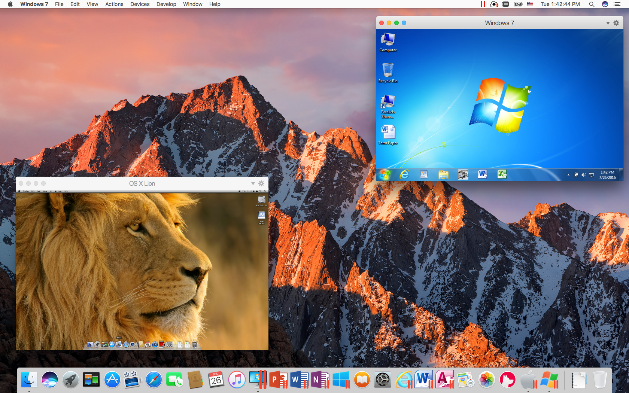 Parallels Desktop® 14 is the fastest, easiest, and most powerful application for running Windows® on Mac® — without rebooting. Includes 30+ utilities to simplify everyday tasks on Mac and Windows. 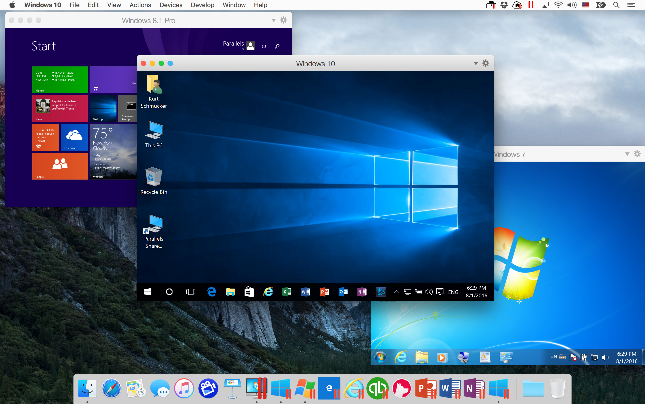 Run Windows 10, Windows 8.1, Windows 7, Windows XP, and more side by side with macOS™. We make it easy to bring all of your files, applications, browser bookmarks, and more from your PC to your Mac with the setup assistant. Resource-hungry Windows applications run effortlessly without slowing down your Mac, and Microsoft® Office is faster than ever. Launch Windows applications right from the Dock. Use Mac gestures in Windows and copy & paste and drag & drop between Windows and Mac applications. Run a wide array of operating systems including macOS, Windows 10, 8.1 and 7, Linux, Google Chrome™, and others. Parallels Toolbox for Mac makes it easy to perform dozens of essential daily tasks on your Mac—at the low price of a single app. Take screenshots, secure private files with a password, convert Facebook or YouTube videos, and much more. From Mac newcomers to the Mac pro, everyone will enjoy this collection of well-designed tools and utilities. Whether you are a home user, a business professional, a student, or a passionate gamer, the new Parallels Desktop 14 for Mac enables one Mac to handle all of your computing needs. 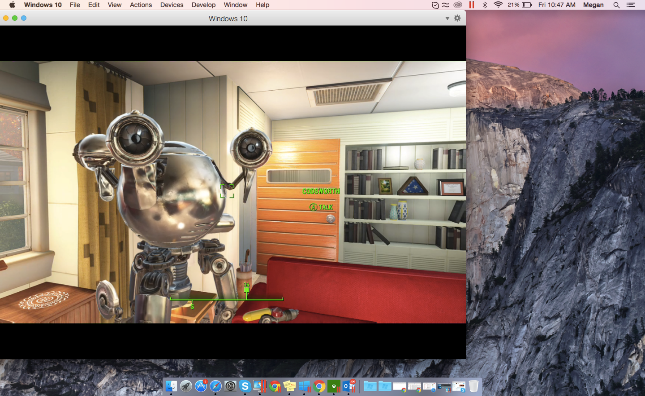 Run the PC programs your work or school requires and the Mac applications you love. A Mac-centric office can still run the business-critical PC applications that you, your customers, and your partners need, and accessing Windows-based files for school or university just works. A must-have in the Mac-based workspace. Designed for your Mac to be faster, easier, and more powerful. Phenomenal. The primary reason I hadn’t switched to all Apple® devices for work and home was because I was unaware of a reliable way to operate my Windows required apps on my Mac. 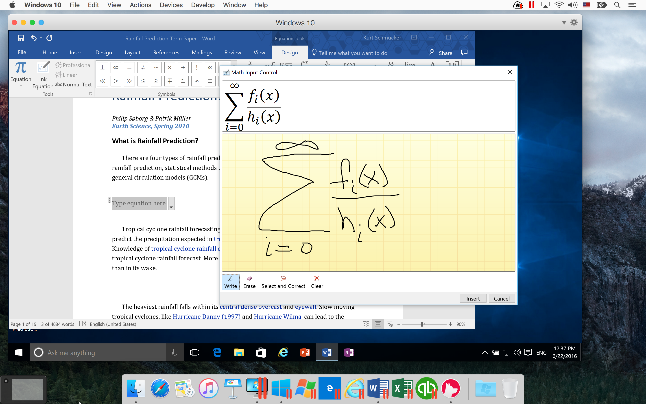 That has all changed with Parallels Desktop for Mac. *With help of Installation Assistant. **Parallels tools are not available for this operating system. 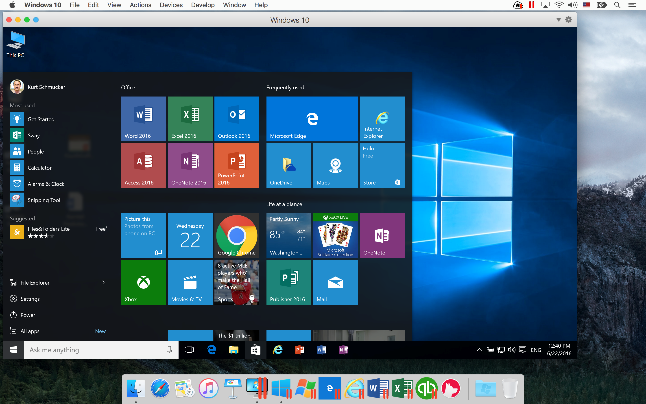 Note: Parallels Desktop for Mac emulates PC hardware, so operating systems that are not present in this list can work as well.